NRL immortality awaits Johnathan Thurston after a historical Rugby League career – 13 of those years shared with his beloved North Queensland Cowboys. Individual awards are plentiful on JT’s mantle piece – four Dally M Medals (a feat no-one had managed before him), three Golden Boot Awards, four RLPA Player of the Year awards – and he's not done yet. One achievement would stand above all – securing his team’s historic first NRL premiership with a clutch field goal just two minutes extra time, setting off unbridled jubilation. Thurston hailed North Queensland’s maiden NRL premiership as the crowning achievement of his career, cementing one of most complete records in rugby league history – and immortalising his standing as the greatest player in Cowboy’s history. 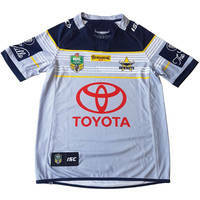 Official Memorabilia, in conjunction with the North Queensland Cowboys and National Rugby League, are proud to release ‘Unrivalled’. A stunning piece that pays the ultimate respect to Johnathan Thurston’s illustrious career with North Queensland, ‘Unrivalled’ comes personally signed by Johnathan Thurston and is officially licensed and endorsed by the NRL and RLPA. Guaranteed to be highly sought after, it is a must-have for all Cowboys fans and astute collectors alike. Don’t miss out – secure your edition before stock runs out! 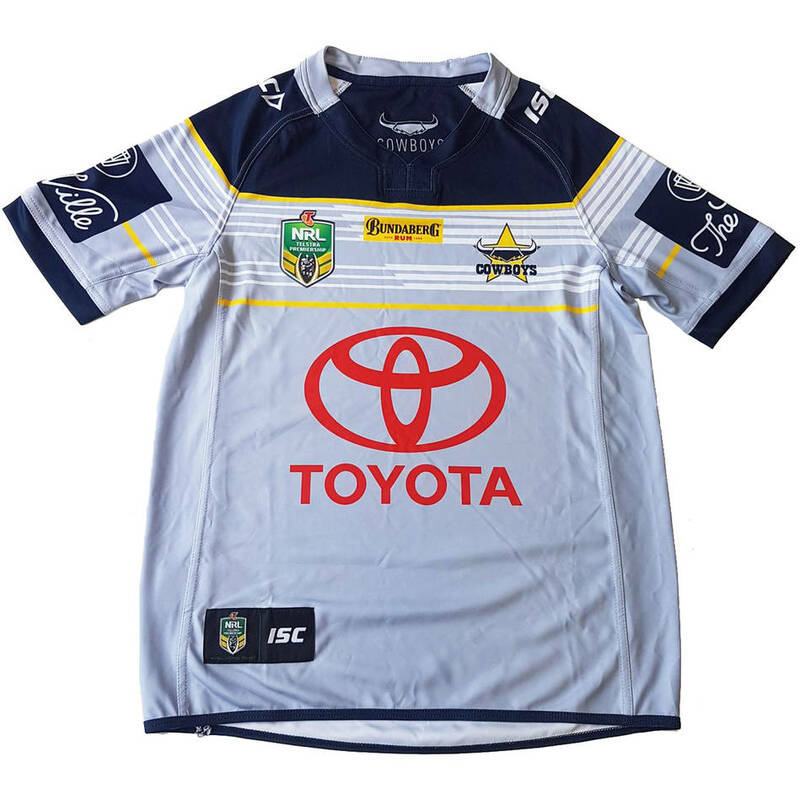 Order this magnificent piece to secure your FREE official North Queensland Cowboys 2017 Away Jersey (Size S) – valued at $150! Hurry, strictly limited stock available.